Ha, function over form, right?? I think the Hopper is going to be great. DISH is not attempting to generate the same massive amount of VOD as Comcast, but this is certainly a nice balance of VOD and DVR. 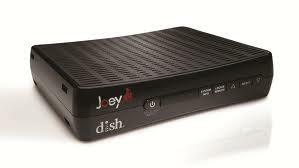 The Joey's are great in the sense that they each have access to the main DVR playlist, as you mentioned above. This may not seem such a monstrous leap forward, in terms of DVR technology, but if you've ever tried to manage recordings in a large family, with each person wanting to watch something different, you will understand this feature's relevance. The 2TB Hard Drive, and 750 MHZ processor also make it the most spacious DVR device yet, as well as the fastest. My DISH coworkers and I got to try this out at work last week, and it will be a big hit for quite a few families and individuals alike! I can't wait to get my hands on one. erock: Thank you for your comment and for identifying yourself as a Dish employee. I'm not sure the speed of the processor is that important to DVR end users, but most appreciate the extra space. If you could share something of how one navigates all of the recorded shows, that would be most appreciated. Screen shots would be even better. I do have one question for you: does Dish encourage you to comment on blog postings? Hey Peter, thanks for the prompt response. Sorry it's taken a few days to get back. I actually ran into one of your posts today concerning DISH and the "Astroturfing". Lol, I like that term. To answer your question, yes, DISH does encourage posting on blog sites. We feel that social media, and the ability to connect with different demographics in various ways is, and will be of vital importance in the coming years. This being said, I also completely understand your frustration with certain posts or responses which seem off topic. We do NOT encourage spam, flippant remarks or poorly-researched writings. One of DISH's key business rules is "Know your Business and Be prepared". I try to follow this rule, and although I am not an accomplished technophile yet, I certainly strive to be in-tune with current trends and the exciting world of Entertainment Technology. For the record, I live and work in Colorado, at DISH Headquarters, and although I would love to travel to India, I have not made the trip yet. To my knowledge there is no DISH Social Media team currently working in India, so I am curious as to how you got a UT from New Delhi. Can you give me any more information concerning these posts so that I might investigate further? This would be greatly appreciated, and I will do my best to get you some more info on the Hopper navigation options as soon as I have it :). P.S. : I have also spoken to my team, and you should not have to worry any further about DISH Network-related posts on your blog. Sorry for the inconvenience, and if you have any further questions or concerns with regard to DISH products, usage or upcoming releases, I'd be happy to correspond. Thanks again.